The SDG Fund in collaboration with its Private Sector Advisory Group, Pennsylvania University Law School and with the legal specialized support from the law firm McDermott Will & Emery. 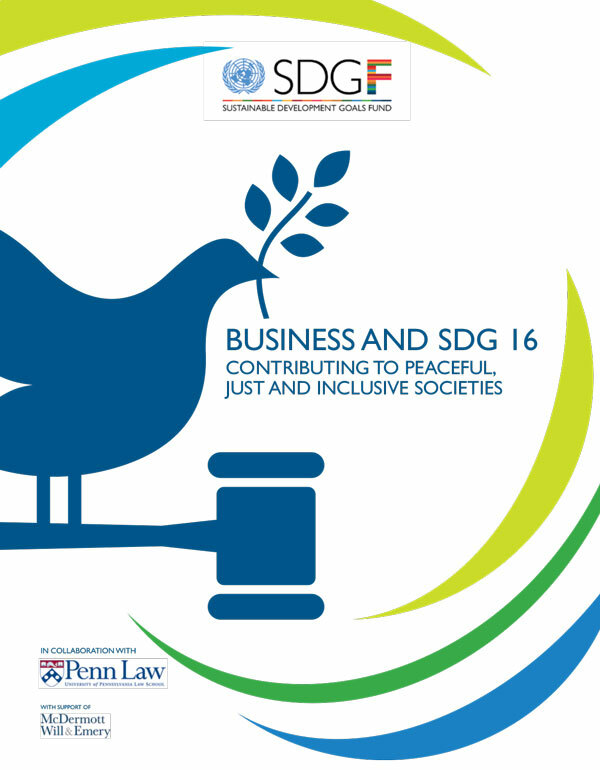 examines how Sustainable Development Goal 16 (peace, justice and strong institutions) is relevant to the private sector and offers perspectives on the link between peace and the development agenda. The report serves as a practical guide for sharing best practices on how the private sector can incorporate SDG 16 - which focuses on building peaceful, just and inclusive societies - into business planning. 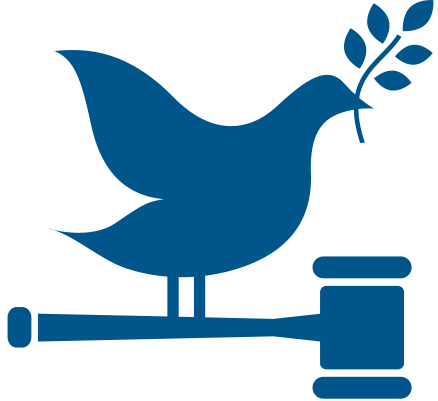 It shows how an effective legal framework can help the private sector build trust with the public and civil society, and details the role of business in creating conditions that would improve areas such as corporate social responsibility, governance, transparency and accountability. The report includes illustrations of success stories and case studies from around the world. For example, the report presents national initiatives that have contributed to fight corruption in different contexts such as Cambodia, Lebanon, Zambia, Uzbekistan, India and United Kingdom. Companies from the SDG Fund’s Private Sector Advisory Group are also working to prevent corruption by instituting a zero-tolerance policy and implementing a reporting system for potential compliance violations. A number of leading companies in Colombia are collaborating to integrate thousands of small farmers in high-conflict areas into their supply chain in order to help create jobs as well as support reconciliation efforts.